Numerous studies show that intake of vitamin D and omega-3 fatty acids reduces inflammation (10,11). 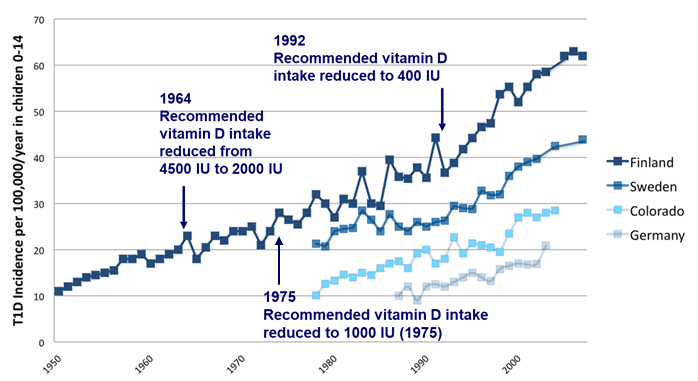 A number of health conditions related to low vitamin D have also been correlated to low levels of omega-3 fatty acids (12-21). Anecdotal evidence suggests a role of vitamin D and omega-3 fatty acids in possibly reversing or stopping this progression. 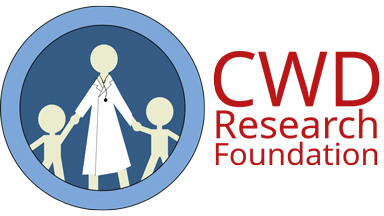 (5,22) Epidemiologic studies show that children given Cod Liver Oil, which contains both vitamin D and omega-3 fatty acids have significantly reduced rates of diagnosis of T1D. (23,24,25). Omega-3s are often found in foods that are also naturally high in vitamin D (such as fatty fish). There is very little research available on the combined effect of vitamin D and omega-3 fatty acid intake and resulting blood levels on specific health outcomes. Incorporating omega-3 education and testing (using omega-3 status testing such as the ratio of AA:EPA (27,28) along with vitamin D education and testing will help shed light on such a combined effect. It will also allow us to study levels of both nutrients independent of consumption since the effect of intake on blood status will vary from person to person, and it may take different doses to reduce inflammation if a person has a diet high in AA. The ratio of omega-6 (pro-inflammatory) to omega-3 (anti-inflammatory) fatty acids in humans has changed from 1:1 to 20-30:1 over time (4,29,30).